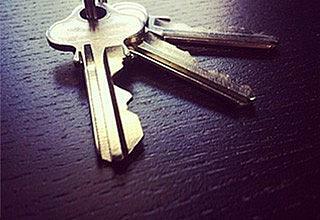 “ We formally launched the Show Homes at our Leeway 2 development in June, with the help of Hull Kingston Rovers. 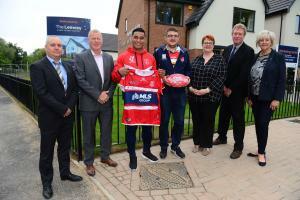 Junior Vaivai from Hull KR attended the development on 9th June to officially open the show homes in Ings. Compendium Living currently sponsors Hull KR’s East Stand at KCOM Craven Park, as well as the turnstiles there. This two-year deal makes Compendium Living one of the BetFred Super League club’s largest sponsors. Junior launched the show homes with representatives of Compendium Living, construction partner Lovell, Together Housing and Hull City Council. Recent purchasers from the development also came along, delighted to meet a player from the club that they support! The Leeway 2 consists of 68 homes and is the latest phase in the long-term regeneration of Ings. It follows a successful affordable phase (3b) which recently won ‘Best 20+ New Housing Development’ at the South Yorkshire and Humberside LABC awards. Rebecca Lovegrove, sales executive said: “The Leeway 2 is progressing well and is proving itself as a very popular development. “We’ve had a lot of interest in the homes and it was great to see visitors at the official opening. In June we also formally celebrated our 2-year sponsorship of Hull KR with a photo-shoot at the KCOM Craven Park stadium. Dave Bullock, our Managing Director said: “This is an exciting partnership with Hull Kingston Rovers for 2018 and 2019. “After the success of the early phases of this scheme, we are keen to continue to grow our presence in Hull. This is a long-term project which is improving the area and helping to rebuild a strong, popular community. Located just east of the thriving city of Hull, The Leeway 2 sits just three miles from the city centre, with great transport links to other surrounding cities such as Leeds, Scunthorpe and York.